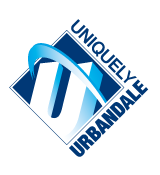 It is the policy of the Board of Directors of the Urbandale Community School District to recognize and maintain the distinction between those activities which are appropriate to the Board of Directors as the legislative, governing body of the School District and those administrative activities which are to be performed by the Superintendent of Schools and the Superintendent’s staff in the exercise of delegated administrative authority. It shall be the policy of the Board of Directors to refer to the administrative staff of the District those matters which do not require or involve Board policy-making duties. While the Board shall delegate administrative duties to the administrative staff of the District, the administrative staff shall be held accountable to the Board of Directors. The Board may request at any time pertinent information and explanation of administrative action in order for the Board to properly fulfill its functions. The Board of Directors endorses the management team concept for the conduct of business in the District. The Board and the administrative team shall work together in establishing goals and in making decisions for the District. In addition, the administrative team shall regularly seek input and advice from other personnel, from students, parents, and community members.